We are entering the perfect season to spend the most of our time outdoors! Going for walks, relaxing in parks, enjoying time with friends and family while picnicking or simply barbecuing in your backyard- so many tremendous outdoor activities to keep us busy this coming summer! 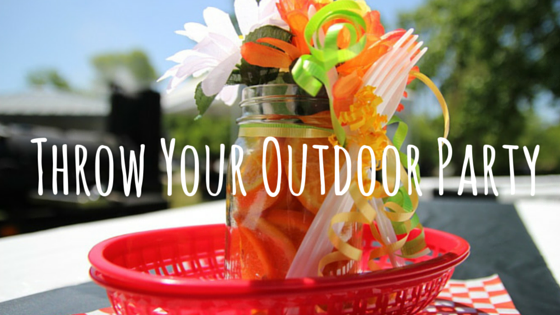 Let’s focus on today’s theme- How to throw your outdoor party? What are the much needed things to consider when throwing out an outdoor party? Place, decorations, and food are definitely the main elements to have in mind. First, spot the perfect place. Then, get the furniture right! Feel like making your bash in a park? Bring out your throw or blanket with you. Any colors will do, but we suggest you match it with your color theme if you have one! Feel like staying close to home? Throw a party in your backyard without worrying about moving and shifting your furniture too far. If you don’t have any outdoor furniture: bring your dinette out! This is a great alternative from 3 pieces to 7 pieces; our Ashley Furniture dinettes can accommodate most of your guests when eating on a table.Benches are also a good option for gathering lots of people around your table. If you are a foodie, we have no doubt that your table will be full of unthinkable dishes, so forget about using any decorations on your table. Plenty is no plague! What about lighting? You can set up a lively atmosphere with candles! Lemongrass candles are so efficient - it will repulse mosquitos and give a great lemony fresh scent! 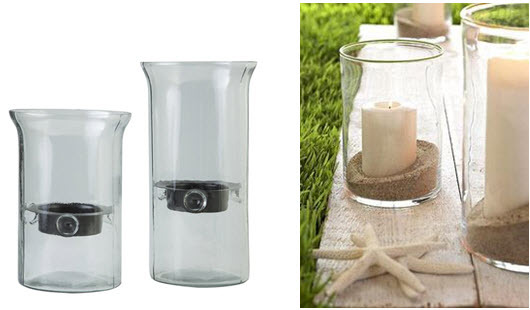 The Kadeem candle holder is one of our “coup de Coeur”. This stylish holder can help set the mood with your party theme as you can incorporate stones, sand, pebbles or topiary touches thanks to its removable tray. The best part of outdoor parties is that you don’t need to make a complicated menu to please your guests. 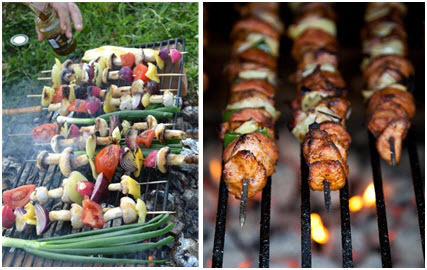 A BBQ is more than enough to satisfy meat or vegan lovers! Give yourself some time for preparation the night before or a few hours prior to ensure that you marinate your elements, so that you can relax and spend time with your guests. BBQ has always been a great woman’s cooking “runaway” as man loves being in control of the grill! Let’s make the month of June the most outdoorsy partying time ever! 2) Rinse the shrimp well and make sure they are well cleaned. Then stir together 2 tbsp of lemon juice, 1 tsp of olive oil, and 1tbsp of dill and oregano into a bowl. Add the shrimp and toss them in the mixture. Let them marinate for about 10 minutes. 3) Mix ¼ cup of Greek yogurt with one minced clove of garlic, 2 tbsp of lemon juice and 1 tbsp of dill in another bowl. Then, with a vegetable peeler, cut the cucumbers into lengthwise ribbons and discard the largely seeded area. Add the ribbons into the yogurt mixture and pepper to taste. 4) Mix the remaining ½ cup of yogurt with 2 tbsp of lemon juice, 1 tbsp of dill and the other half of the minced garlic into another bowl for raita sauce. Add pepper to taste. 5) Combine cherry tomatoes and 1/3 inch rings of onions in remaining olive oil into a bowl. Grill the shrimp with tomatoes and onion in a lightly oiled cast iron skillet or grill pan. Cook for about 5 minutes or until shrimps are bright red, tomatoes are soft and onions are golden and tender. 6) Grill flatbread until slightly crisp. Then top flatbread evenly with cucumber salad, shrimp, onions, tomatoes and romaine. Add raita sauce if desired. Now you can sit outdoors and soak in the beautiful warm sunset. Enjoy! Father’s Day is a day which fathers are honored and appreciated by their loved ones for their paternal bonds. Along with the celebration, it is customary to offer a gift. 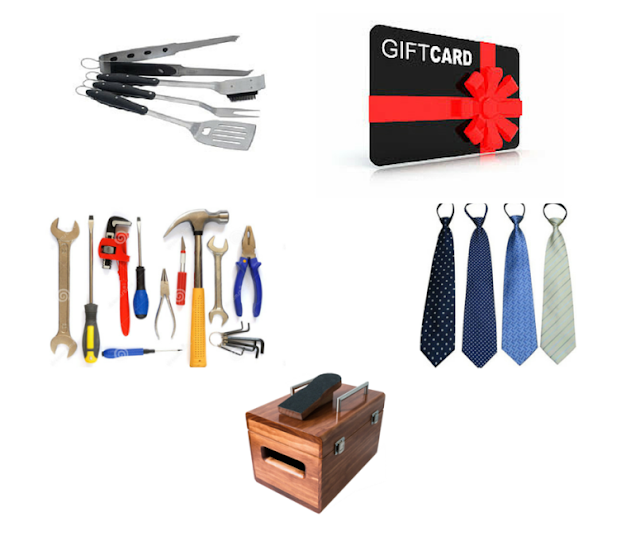 Are you out of ideas and need some inspiration for a great father’s day gift? Then throw those cliché gifts out the window! Rather than spending your money on dust collectors, why not spend it on something useful? We all know many dads love to kickback on the sofa in front of the television in order to unwind after a long day. 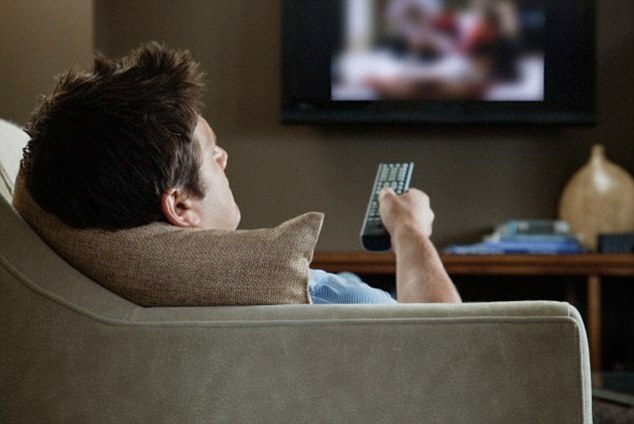 Most dads enjoy their “alone time” by watching their favorite sports and movies. Of course not all dads enjoy sports. Some fathers also enjoy gaming to detach from reality once in a while! That being said, why not invest in a tv console that will enhance your father’s cinematic or gaming experience? There’s an idea! That way he can store all of his favorite movies, games and gaming console all in one place. Not only will he appreciate having all of his stuff neatly organized in one place, but surely mum will too! 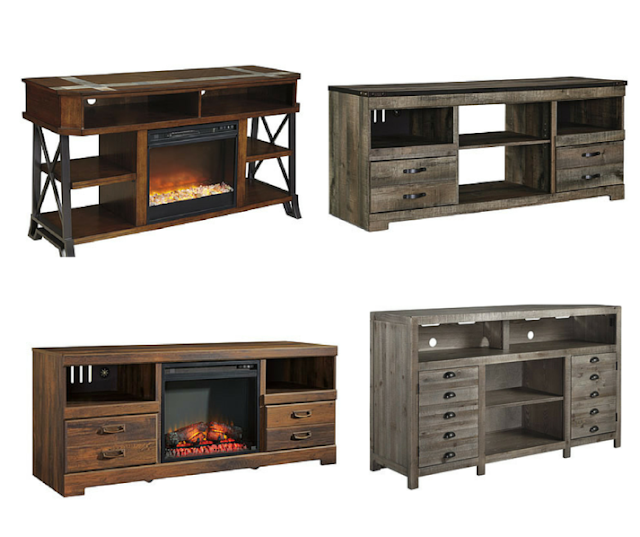 In fact, there are a variety of styles that Ashley furniture offers, in order to accommodate your home décor. Now there’s a gift that’s worth twice the deal! See his eyes light up when you present him with an awesome gift that he will appreciate. Don’t forget a hug and a kiss! Happy Father’s Day!